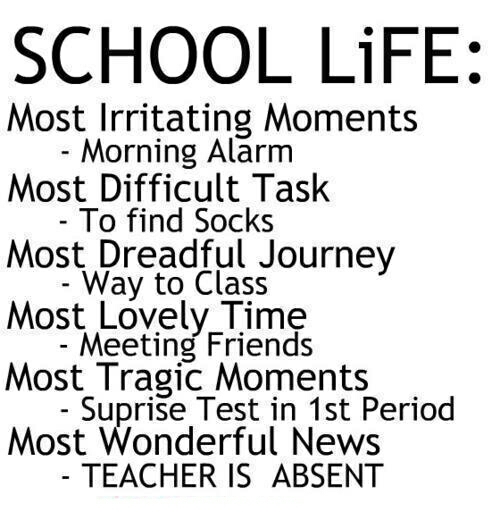 School days are best phase of life which never comes back but lies deep inside our heart.Dosen’t you agree with me? Lifting sweet memories from mind pool! That day I saw school building embraced with love and notions! Playing with my school buddies ,a memorable sight! That was a golden period when we were in school .When i reminscie old memories of school days ,my eyes get blurred with tears. I wish i could drew back my soul to that lost time and live happily.But time does not wait for us ,it moves fast. We understand the value of movements (school days) when we lose it forever .The wheel moves at such a fast pace leaving behind dear friends ,teachers and some unforgettable memories .Everyone has treasure of these sweet memories in their hearts which bring sparks to their lives. How it feels when we meet our school buddies after a years ,How it feels when we visit to our school and met with old teachers ? Dosen’t it brings immense pleasure and delight to our soul and mind! I m delighted to share some of school memories with you. 1 We often have made friends during exams time who are studious to get passing marks in weak subject. 2 Its a fact which can’t be discarded by all that we have attended all classes of our favourite (secret crush ) teacher. 3 We often have bunk the classes in school and got caught by teacher. 4 Many times we have veiled our marks from parents in order to save us from punishment. 5 We were allways engrossed in childish ,mischeavous acts ,played pranks on friends and teachers. There are numerous memories lying in our subconscious mind. We went to school with tears in eyes and left the school hiding emotions,happiness with teary eyes. I will love to hear your sweet-sour experience and lasting memories of school . Why you hated school life ?Although I have not enjoyed a lot in school as I was a introvert and shy girl ,but still I miss that days . oh. I was a little shy one too. Thanks for the visit to my blog and for the follow. I have returned the follow. My favorite browsing point here is your memory of school days. Those are nice for me also – both as a student and as a teacher. Thanku so much for reading my blog. I m honoured and blessed 😊. Excellent post ! Keep on going! !! !